Three glasses of red wine. Anyone who reads a daily paper could be forgiven for wondering how carbs, alcohol, fats  a whole host of things, really  can be reported as healthy one day and unhealthy the next. Of the conflicted bunch, however, alcohol just might be most enduringly confusing: scientific studies proclaim that it protects against heart attack and stroke, while others suggest it promotes violent tendencies or destroys the liver. Why the mixed messages? A new study demonstrates what can go wrong. The latest in a long line of research on alcohol's benefits  sure to cause a stir  is a paper by geriatrics researchers at the University of Bari in Italy appearing in the May 22 issue of Neurology, revealing that the progression of dementia may be slower in people who drink moderately than in teetotalers. A survey of elderly Italians  1,445 of whom had no cognitive impairment and 121 who suffered mild cognitive impairment (MCI)  found that, over 3.5 years, those with MCI who drank less than one drink a day progressed to dementia at a rate 85% slower than those who drank nothing. Drinking more did not seem to be better than drinking nothing. Expect big headlines to follow: "Booze boosts the brain"; "A drink a day keeps dementia away." In other words, common sense and your own personal experience might explain just as much of the association between drinking and delayed mental decay as can be explained by neurology. 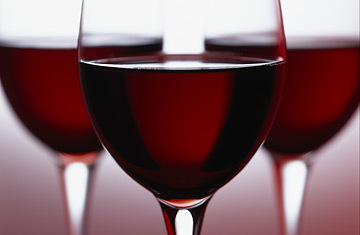 Seventy-year-olds who have a regular glass of wine, for example, might well be moderate drinkers precisely because they are still physically fit, eat reasonably well, are in good enough health that don't take serious medications that prevent them from drinking, and lead active social lives  all factors that, like moderate drinking, have been linked to staying mentally sharp. Researchers who study the effects of any one of these factors will, of course, try to separate it from the others. But when it comes right down to it, that's not always easy. There are some ethical problems that get in the way of researchers force-feeding patients pre-determined quantities of alcohol. Without that kind of control over study subjects, however, scientists are limited in what they can measure. To be fair, the scientists and journal publishers are almost never the ones who claim unambiguous relationships between alcohol  or anything else  and good health. But journal articles generally assume readers understand that correlation is not causation, a subtlety that may be lost on the layperson. And subtlety is often what's needed to present these studies fairly. Alcohol could offer some protection against cognitive decline, after all. Moderate alcohol consumption has been linked with reduced risk of vascular disease, and good vascular health could slow the progression of dementia. The study authors note that some experiments show that ethanol encourages the release of a brain chemical that could be responsible for improved memory; that alcohol is associated with high levels of HDL cholesterol, linked to better coronary health; and that anti-oxidants in wine, the main source of the elderly Italians' alcohol intake, might also boost cognitive performance. Or there could be an entirely different mechanism at play. The simple thing to note is that the researchers behind this study weren't claiming to show any of these things. The paper is still valuable: it is the first to identify a relationship between alcohol consumption and the rate of progression from mild cognitive impairment to dementia, according to the study authors. It also appears consistent with other papers that suggest, over a longer time period, that moderate alcohol consumption might be linked to reduced risk of dementia. That's all a bit complicated for a headline. But on reports like this one, it's usually worth reading the fine print.